Fred specializes in trawlers with an emphasis toward DeFever. Fred has sold more that 80 new and brokerage DeFevers in a career that spans 25 plus years. Fred was born and raised on the Coast of Maine in a family with 150 years of combined experience in shipbuilding! Following his first job on a lobster boat at 13, he moved his way through the boatyard business as dock boy, mechanic, rigger, deck hand, delivery skipper, and finally into selling yachts at different brokerage firms. Fred and his wife jumped ship and relocated to Virginia in the early 90’s to manage a brokerage specializing in trawlers and cruising sailboats. Their next move was to Houston which the couple cruised to in their live aboard sailboat. While in Texas, Fred worked for Gulf Coast DeFever where he began to develop his relationship with the builder of DeFever Yachts that has since turned into a close friendship. Because of our enchanting Puget Sound and with family ties in the area, Fred and his wife ended their journey here in Seattle (for now). 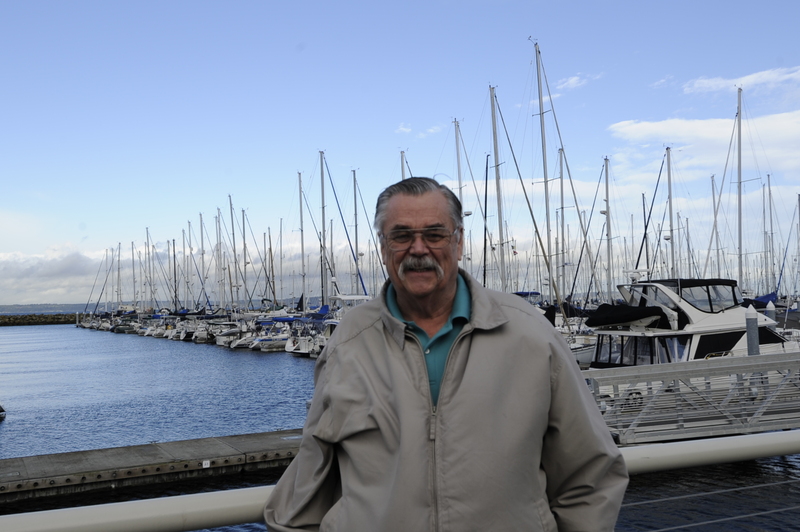 Fred is happy to back in “DeFever Land” at Seattle Yachts as we are the official dealers for this region. His knowledge and experience in the boating industry combined with his love for people make him a great fit! We are excited to have him aboard to share his expertise and help match clients with their dream boats.